What are the biggest expenses for most RVers? That’s a question I get asked almost daily and sometimes my responses don’t always satisfy the people asking. I think they just want reassurance that they can make it work. However, it’s not always that easy. Rather than concentrating on how much the RV lifestyle will cost, think about what you want to do—how you plan on travelling, where you want to go, how much money do you already have, what will your expenses be, and can you earn an income while travelling, if necessary. Think about what is needed versus what is wanted. Is what you want really necessary? It’s really not fair for me to tell you what our expenses are because we might travel more than others do or our RV may not cost as much to maintain. There are some typical expenses that everyone has and should definitely be budgeted for. One of the highest costs is fuel but that will depend on the amount of miles/kilometres travelled, the size of the RV and what the pump cost is. By planning a route in advance and averaging the cost per mile, it’s fairly easy to determine what the costs will be. If the price is OK for the budget, then carry on. If it isn’t, then make some adjustments and go from there. The next expense is usually campground fees and this will depend on whether the RVer stays in one location for a week or a month and takes advantage of discounts offered. The types of parks and what amenities they offer will also affect the price. If the amenities are important and it’s within the budget, then it’s fine. However, if the budget is low, then consider what is really needed and what’s available. A few nights of boondocking might help keep the finances in check. We all like to eat so food costs are the next consideration, and depending on whether the plan is for eating in restaurants or not, it will make a difference to the total monthly cost. The food budget probably won’t differ from living a traditional lifestyle except if the eating habits change. Communication is a high priority to most RVers and this includes cellphones, Internet, TV and mail delivery. These costs can also be high or low depending on roaming charges and which carrier is used. Once you know your routes and travel plans, it’s much easier to know the questions you should ask when speaking with a service provider. You can then negotiate from a position of strength. Maintenance is also an individual expense and will depend on whether RVers can do their own maintenance and repairs or whether they need to hire someone. 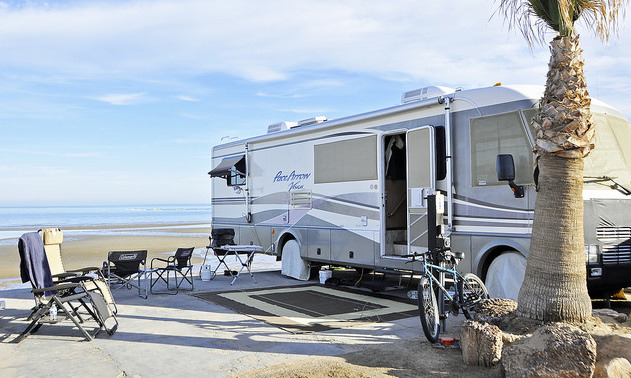 Costs also vary depending on the RV itself since a small trailer doesn’t have the same mechanics and equipment that a large motorhome does and will be cheaper to maintain. Other monthly costs include propane, medical, prescriptions, personal grooming, memberships, laundry, entertainment, gifts, insurance and pets. Plan for emergencies and put a little away in a savings account. How much should I spend on an RV? 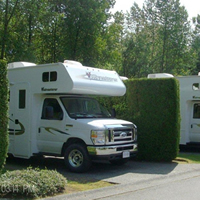 The question sometimes gets asked "How much should I spend on an RV?" My response is "How much can you afford?" Really, that’s what it comes down to—what can you afford? It doesn’t matter whether it’s a $5,000 trailer or a $100,000 motorhome. If it meets your needs and you can afford it, then it’s perfect for you. If a person is uncertain, then why not purchase something a little smaller or at a lower cost? It’s always easier to upgrade than to get out of something that is too expensive and prevents you from doing what you really want. Can a young couple become full-time RVers? No matter the age of the RVer, budgeting is the same—except maybe a younger couple wishing to become full timers may have to plan on working while they travel while a more mature RVer may have a pension. It still comes down to how they wish to travel and what plans have been made. Choosing the RV lifestyle is a choice the same as living in a traditional home is—some people have large luxury homes while others live more modestly. How you live will depend on your budget and what your needs are. It comes down to choices and planning and knowing why the RV lifestyle is chosen and then deciding whether it’s affordable. There is no right or wrong answer as to how much it will cost—it depends on the individual. Do your research, know why and how you wish to travel, and then you will know whether the RV lifestyle is affordable for you. Some RVers choose to head west, not south, to enjoy Canada's mildest winter climate.